Manchester United has retained its position as the most valuable football brand in the world, according to a new report by independent brand valuation and strategy consultancy, Brand Finance. Valued at almost $1.9 billion, the English club is supposedly worth $300 million more than its closest rivals, Real Madrid and Barcelona. The club's brand value increased by 9 per cent in the last year while its brand strength also increased by 3 per cent in the same time. 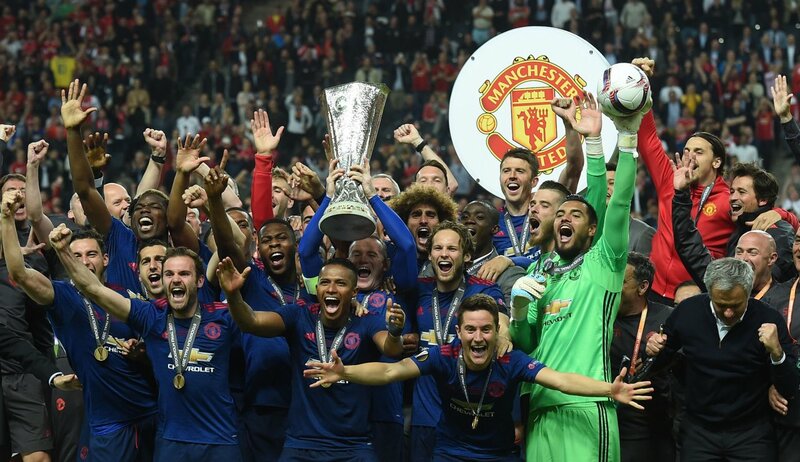 Winning the UEFA Europa League along with the broadcasting revenue that comes with being part of the Premier League contributed to the club's brand strength but its commercial revenues, totaling $390 million in 2017, are far greater than domestic and most international rivals. In terms of brand value, FC Barcelona was rated as the strongest football brand in the world. Barça were pushed into second place in 2017 by bitter rivals Real Madrid, but after a season in which they had the upper hand in domestic football and benefited from sponsorship deals, the Catalan club’s brand strength improved – from 95.4 to 96.6 – while Real’s remained virtually unchanged, despite another powerful performance in the UEFA Champions League. The German Bundesliga remains the best supported league in the world, with an average crowd of 44,500 per game - partly due to accessible ticket pricing and high levels of supporter engagement. The Premier League makes a strong showing in this year's list, with 6 of the top 10 clubs and 18 of the top 50 coming from England's top league. This was mainly due to broadcasting, which accounts for 60% of all revenues and, in some cases, contributes more than 90% of club income. Brand Finance calculates the values of the brands using the Royalty Relief approach. This involves estimating the likely future revenues that are attributable to a brand by calculating a royalty rate that would be charged for its use, to arrive at a ‘brand value’ understood as a net economic benefit that a licensor would achieve by licensing the brand in the open market.